Recently I’ve been quite the traveler. Okay I’m not jetting off to anywhere exotic but I’ve had quite a few trips with work, friends and overnight stays where I’ve had to pull out my wash bag and get some essentials ready for the day ahead. I love packing up my wash bag. Who else is with me on this? I get such a satisfaction packing the essential toiletries, skincare and tools ready for my trip away. Picking the perfect cleanser, moisturiser, deodorant and endless other things I probably don’t need gets me so excited and it’s also the perfect opportunity to use all of your freebies and samples. 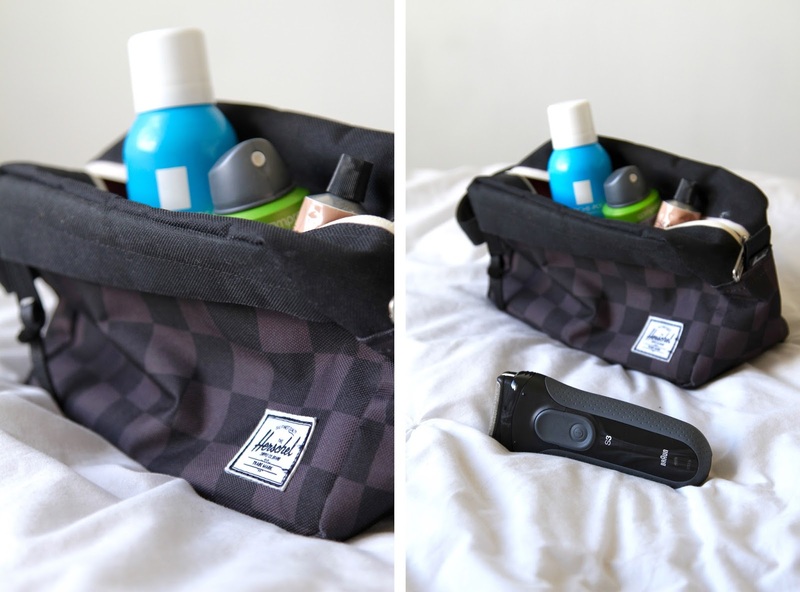 I’m heading to London this Friday for fashion week and various other projects with work, so I thought why not show you all what my key wash bag essentials are and why I never leave the town without them. I first fell in love with Serozinc by La Roche Posay, back when I first went to Paris and discovered the joy of a French pharmacy. French pharmacies aren’t hard to find at all, they’re basically on every corner so I soon picked up my fair share of Serozinc after hearing so much about it. It comes in a spray bottle that has a super fine mist when applied. I tend to use this as my toner when I travel and also a product I can quickly spray on my face, when we pop back to the hotel mid day. It’s super refreshing and also keeps your face blemish free, radiant and hydrated. This is my absolute saviour! Looking good is also a priority and for someone who’s facial hair never stops growing, a trusty shaver has to be at hand. I love the Braun Series 3 3000s Shaver as it’s super light weight, gives a nice close shave and is fully waterproof. This means I can jump in the shower and give myself a quick trim, or easily wash it under the tap after use ready to put back in the wash bag. Braun’s Series 3 also gives you 45 minutes of shaving time after 1 super quick charge, meaning I never have to take my charger away with me. 45 minutes gives you more than enough time for a weeks worth of shaving so this product never fails. Braun is one of my favourite shaving brands and I can fully trust their products, knowing I’ll always get the best shave with no irritation! Now this product has been featured on The G Edit sooooooo many times… I literally can’t count anymore! I just haven’t yet found a hand balm that does the job better than the Aesop Resurrection Cream. This herbalicious formula keeps my hands hydrated and nourished through the day, without that sticky, greasy feeling a lot of hand creams leave behind. 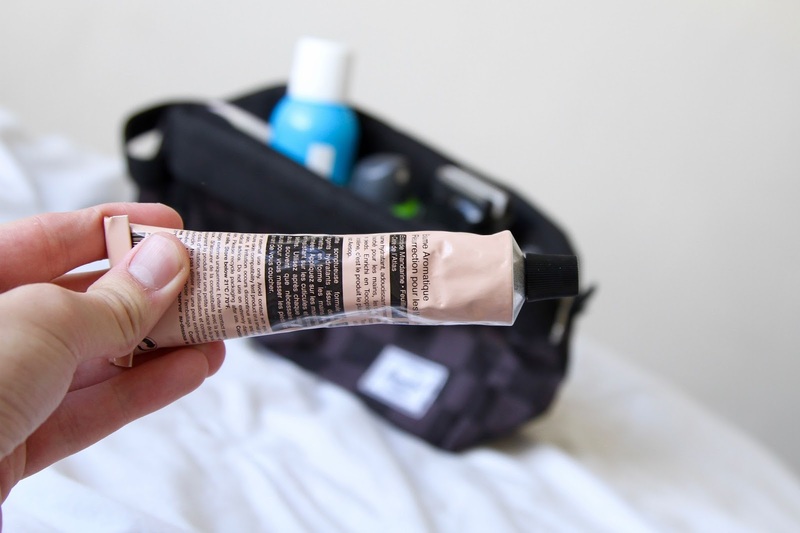 I can not rate this product any higher and it’s the perfect size to stick in your backpack or travel case for those times your palms need a little TLC. Finally, smelling good is something I always take pride in. Although I’m a total fragrance fanatic, deodorant is a must must must! I like to think this as my fragrance base coat because I know that with a good deodorant I can trust my pits will remain fresh all day. My go to at the moment is the Dove Men Care Extra Fresh Deodorant. This has quite a neutral scent that just keeps your under arms smelling fresh and perspiration free! Keeping a can of deodorant with you is essential as you never know where you’ll be going or how long for. 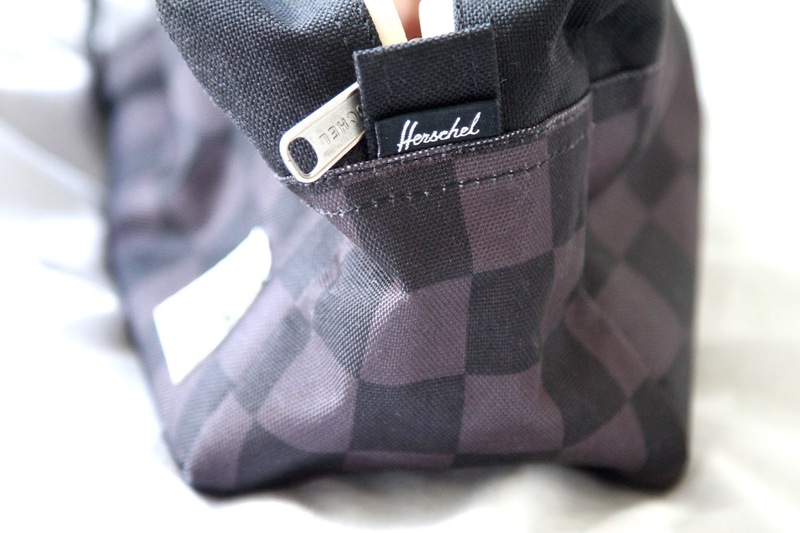 If any of you were wondering, I keep all of this in my trusty Herschel wash bag, one I’ve had for many years that has served me well on my travels! You can find this here. Interested in any of these travel essentials? You can shop this post below or click on the pink links above. Who’s in London this weekend? Holla at me! Previous Post 4 Things I Wish I Knew When I Was 15. Next Post The Finishing Touch.